The Peppermint Mocha Latte from Starbucks was my very first hot coffee and chocolate combo I ever tasted. All it took was one sip and I was hooked. I couldn't wait for December to come around so I could treat myself. But I no longer need to go to Starbucks to enjoy this minty treat. And I could enjoy this anytime of year, but there's just something extra special when I wait for the snow to fall, put up the Christmas tree, and plop a candy cane in my Santa mug. On day 1 of the 12 Days of Mocha series I shared my classic homemade gourmet style mocha latte. You can print out the recipe --> HERE. 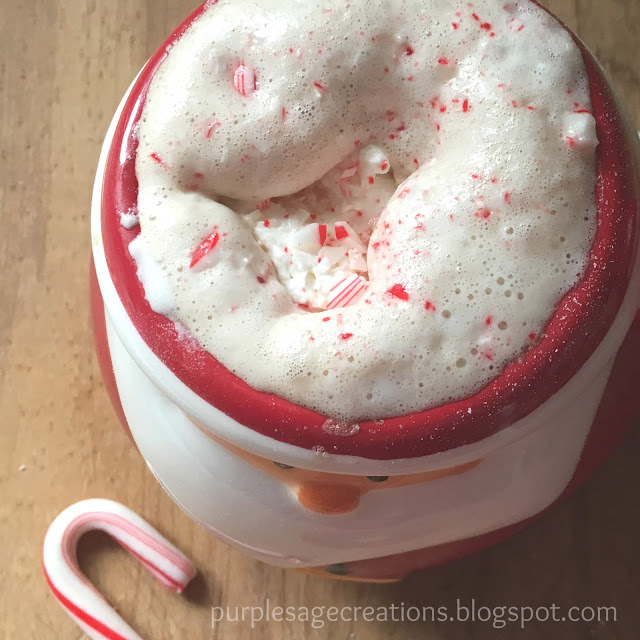 To create your own peppermint mocha simply add 1/4 to 1/2 teaspoon of peppermint extract to a mug of the classic homemade mocha recipe OR stir your chocolate mocha with a peppermint candy cane. Both ways are super scrumptious! 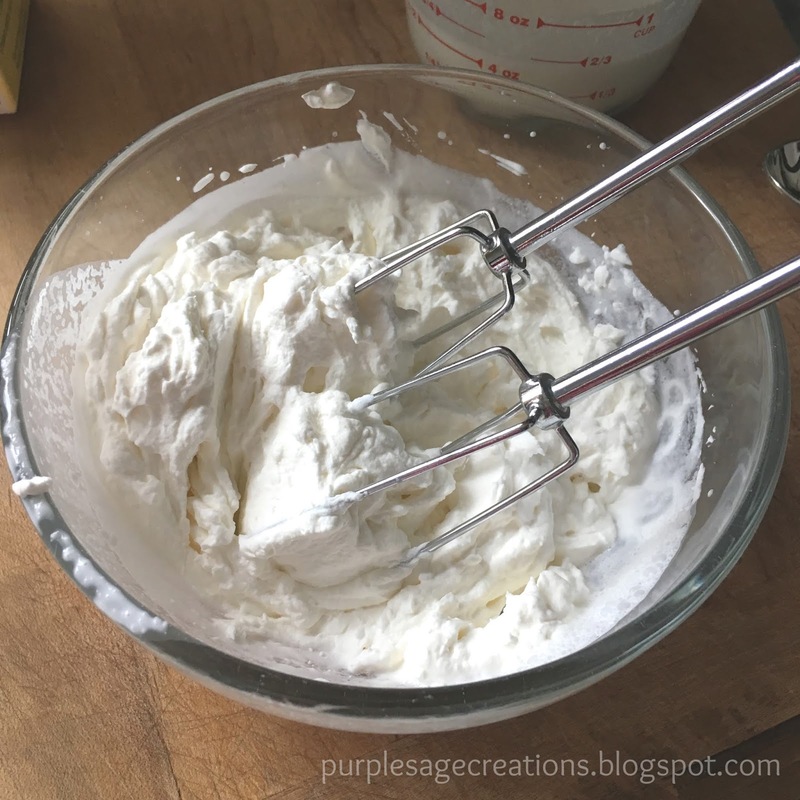 To make it an extra special treat whip up some homemade whipped cream. Simply pour 1 cup of heavy whipping cream in a bowl. Add 3 tablespoons of sugar and beat with an electric mixer until the cream is thick like the picture below. 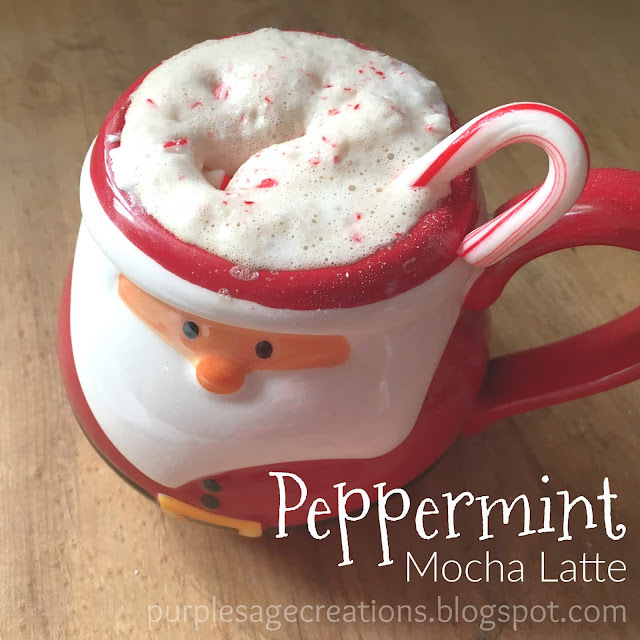 If you are a peppermint fanatic add about a 1/4 teaspoon of peppermint extract to the cream when you add the sugar. Trust me when I say the homemade whipped cream makes this mocha stand out as a truly scrumptious treat. One you will definitely want after a long day of shopping... or work. Enjoy! Join me on Instagram at @purplesagecreations to see more of the 12 days of Mochas.